Doctors Foster and Smith is one of the world's largest pet supply companies and sells over 20,000 different products for a wide variety of animals. Its key to success has been educating its customers about quality pet care. They have won numerous quality awards and in recent times were awarded Best Online Customer Service from Multichannel Merchant. Drs Foster and Smith: Get up to 25% off select Skimmers, Air Pumps & Air Stones. Ends on 03/26/2015. Drs Foster and Smith: Tap offer to copy the coupon code. Remember to paste code when you check out. Online only. Drs Foster and Smith: No coupon code needed. Tap to shop the sale now. Drs Foster and Smith: Get Up to 60% Off Treats. Drs Foster and Smith: Get 20% off Marineland Aquarium Kits. Ends on 03/12/2015. Drs Foster and Smith: Get 25% off MedFinn Medicated Food. Ends on 03/12/2015. Drs Foster and Smith: Get up to 75% off Bed Sale! Drs Foster and Smith: Save 25% On Classi-Cat Treehouse. Drs Foster and Smith: Get 25% off Kordon AmQuel Plus Instant Water Detoxifier. Ends on 03/12/2015. Drs Foster and Smith: Get 15% Off Tropic Marin Bio-calcium original Balling Salts. Expires on 03/05/2015. Drs Foster and Smith: Get Free US economy ground shipping on all orders $19 or more. 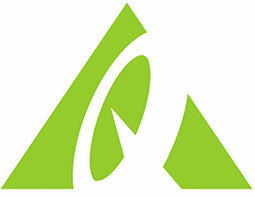 Drs Foster and Smith: Get 20% off Tetra Plus Additives. Ends on 03/12/2015. 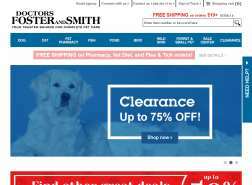 Drs Foster and Smith: Get 10% Off Regular Priced Items + Free Shipping. Expires on 03/31/2015. Drs Foster and Smith: Get 20% off Tetra AquaSafe Plus. Ends on 03/12/2015. Drs Foster and Smith: Get 10% Off Regular Priced flea & tick control and select prevention treatments. Excludes MAP-priced items. Expires on 03/28/2015. Drs Foster and Smith: Get 40% off Hydor Professional External Aquarium Filters. Expires on 03/05/2015. Drs Foster and Smith: Get an extra 15% off your purchase including Sale and Clearance.